Is vaping really the future, but smoking – the past? Welcome to our second journey to the future! This time, let’s see what’s going on in the world of vaping in the 2030s and 2040s. 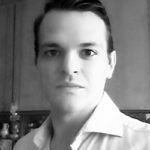 However, please keep in my mind that we have not acquired a time machine yet, and this article consists of completely subjective predictions by Ecigclopedia’s editors. 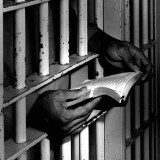 And please don’t forget to check out our first story on this topic! Vaping vs. smoking: The vaping community again has been struck by regulations and bans, especially in the USA and Europe. However, this time it’s all about a newly synthesized and poorly researched substance, which is already widely being used as a ‘better’ base for e-liquids. Vaping hardware: Although the term ‘box mod’ is not completely forgotten yet, the leading vaping product manufacturers are spending millions on marketing new types of mods, with the majority of them being cylindrical shaped, lightweight and very powerful. A Chinese company recently announced a cylindrical vaping mod with a curved QHD touchscreen, while others continue to proudly promote their 10 ml octacoil milliohm tanks. Enough said. 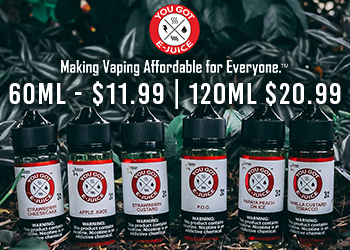 E-liquids: There are now two different types of e-liquids available in stores – the old ones with a PG/VG base, and the ‘new-gen’ juices, as vapers like to call them. 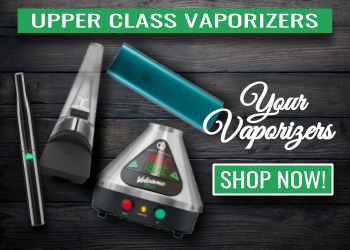 The latter are more expensive, although the vaping experience they provide is unmatched – the vape is much smoother and silkier, not to mention the enormous amounts of vapor coming out even after a tiny draw on your clearomizer. The substance used as base in these new e-juices is completely tasteless and odourless, allowing vapers to fully enjoy their flavors. 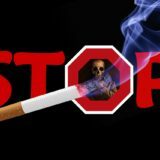 Vaping vs. smoking: Although smoking is being considered a very condemnable habit in many parts of the world, there are still plenty of people struggling with their addictions. The tobacco cigarette scene has also changed quite a bit since the 2010s – there are more flavors, ultra lights and different cigarette sizes than ever before. 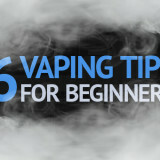 But that has not stopped the vaping community from growing incredibly fast, and in every direction imaginable. Vaping hardware: The race for lower resistance and more vapor belongs to the past. It’s not about the maximum power anymore – manufacturers are trying to implement new – and sometimes even unnecessary – functions in the mods, while clearomizers are being intensely optimized for better performance. The shape and aesthetics of vaping products are becoming more and more similar to those entry level batteries and even cig-a-likes back from 2010s – that’s because everything is getting lighter and smaller. With one exception, though: clearomizers are getting thinner, but longer and bigger – to hold incredible amounts of e-liquid. E-liquids: Taking into account that around 10% of the worldwide population are daily vapers now, e-liquid business is booming. You can purchase nearly anything imaginable – from exceptionally cheap ‘budget’ e-juices in 1l containers to luxury blends coming in diamond encrusted packaging. You can find an e-liquid mixing machine on almost every corner, and if you catch yourself in a vaping shop, you might think you’re in Home Depot. This is the golden era of vaping. 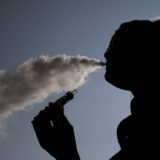 Vaping vs. smoking: New studies involving the ‘first generation’ of vapers have once again proved that vaping PG/VG based e-liquids is not harmful for the human body. However, the new type of e-liquid base has been banned by the FDA in the US, as well as by other organizations all over the world. 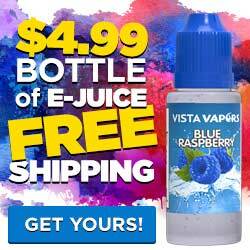 Many e-liquid companies are now bankrupt, and vapers are back to their not-so-awesome PG/VG e-juices. 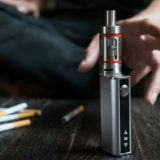 This mess has also had its effect on cigarette smokers and e-cig skeptics – many of them are now more afraid of vaping than ever before. 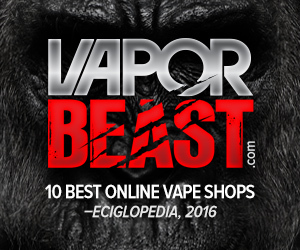 Vaping hardware: Vaping device manufacturers have been going crazy lately. One of the newest mods, for an example, has an in-built e-liquid mixing system, which allows mixing and switching between different e-juices on the go. This system is very well thought-out and ensures great usability – different e-liquid flavors can be filled in up to 10 separate micro-tanks, which are accessible through the side of the mod, allowing the user to fine-tune the mix by selecting the desired amount of each taste on the touchscreen. 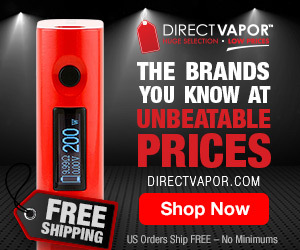 The device is a all-in-one mod, meaning that the delivery system to the coils, as well as the self-cleaning coils themselves, are parts of the mod itself. And that’s just one example of what’s going on. However, the industry giants are very cautious when it comes to power; seems like the majority of the recent products are even less powerful than their predecessors. That’s because many existing devices are suited to those new and already banned e-liquids, which may be vaporized at much higher power settings than PG/VG juices. E-liquids: Due to the ‘new-gen’ e-liquid ban, many enthusiasts around the world are now trying to synthesize their own, innovative substances to use instead of PG and VG – simply because they have been spoiled by exceptionally thick and smooth vapor. The ‘new-gen’ e-liquid base is still sold in the streets, and some people speculate that it, in fact, does no harm to the human body. 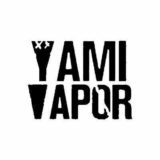 However, e-liquid scene is now more ‘homemade’ than ever before, as vapers all over the world are getting more and more independent from manufacturers, stores and governments. 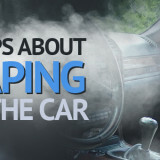 Don’t forget to share, and let us know what do you think about the future of vaping in the comments! Vaping Pros and Cons: Why Should You Quit Smoking and Start Vaping?